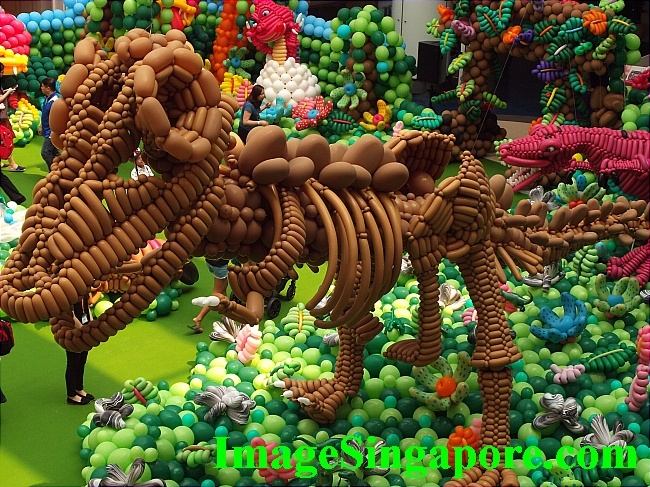 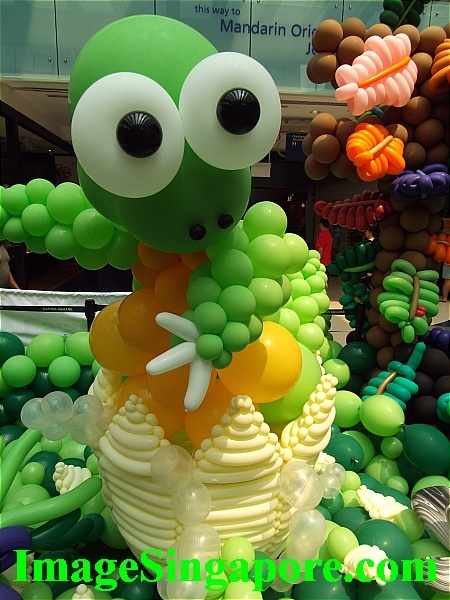 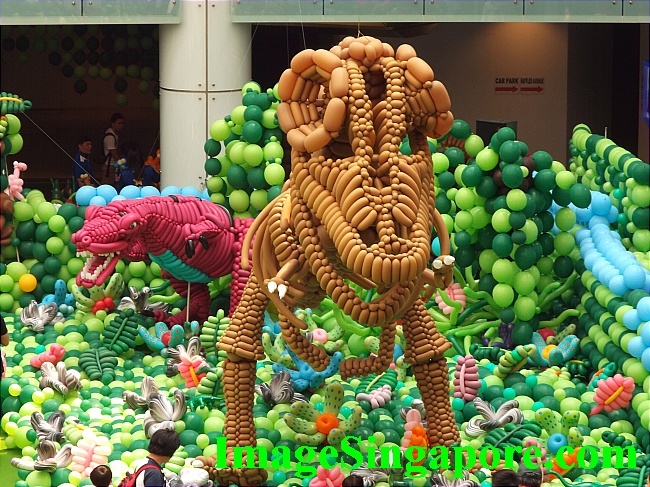 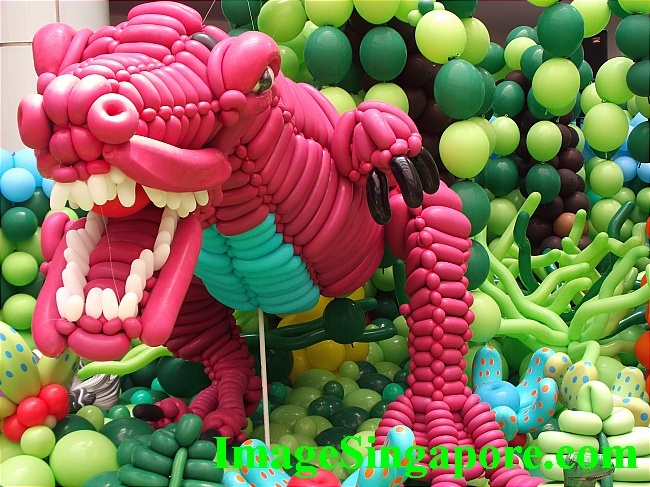 There is a very interesting exhibit of balloon sculptures that transformed the atrium of Marina Square mall into a Land of Dinosaurs. 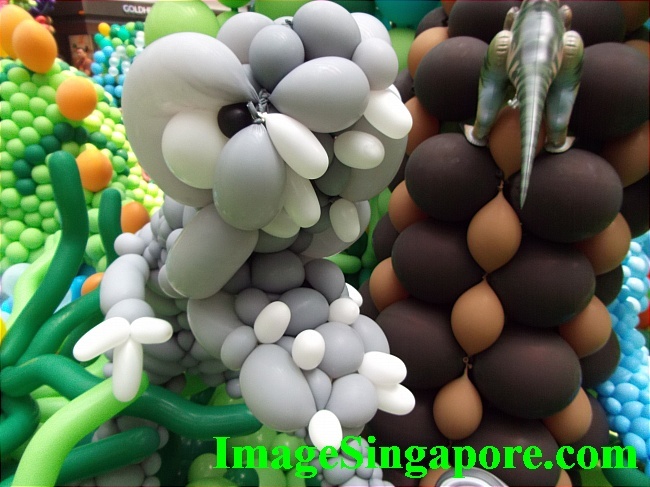 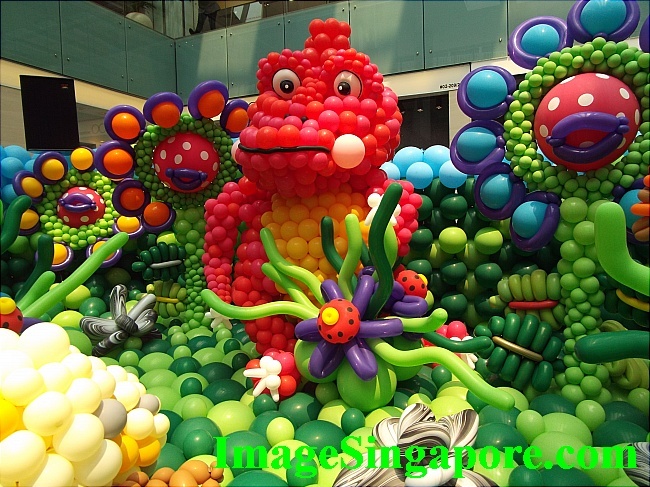 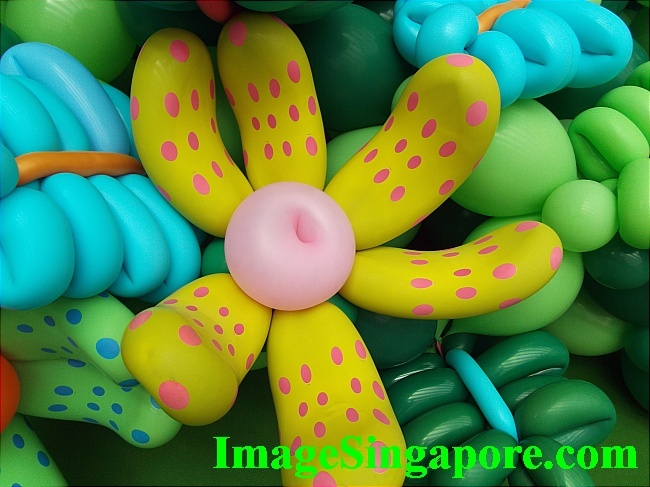 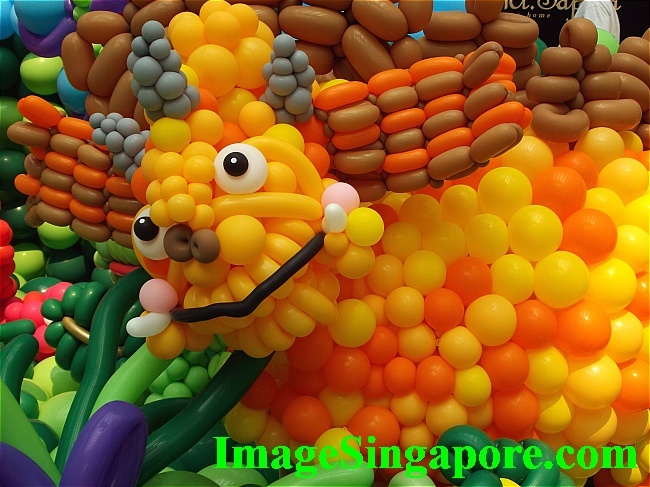 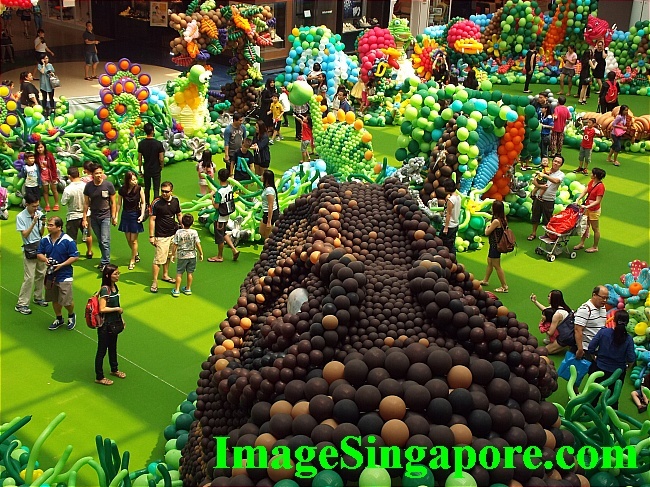 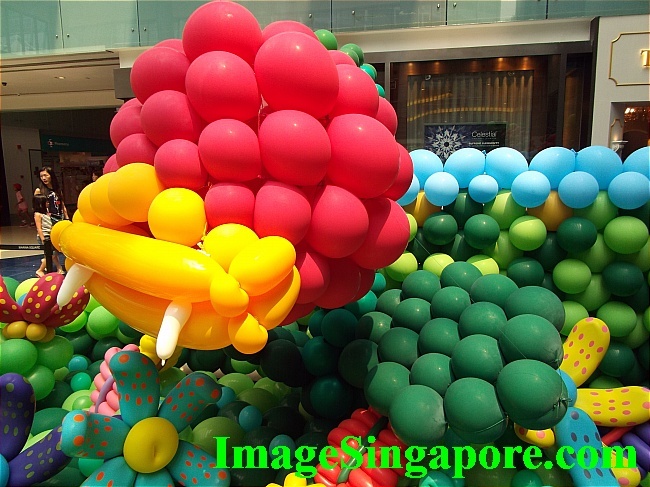 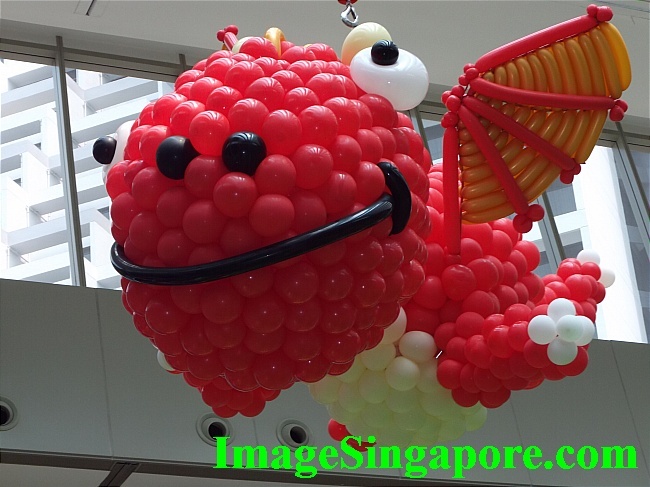 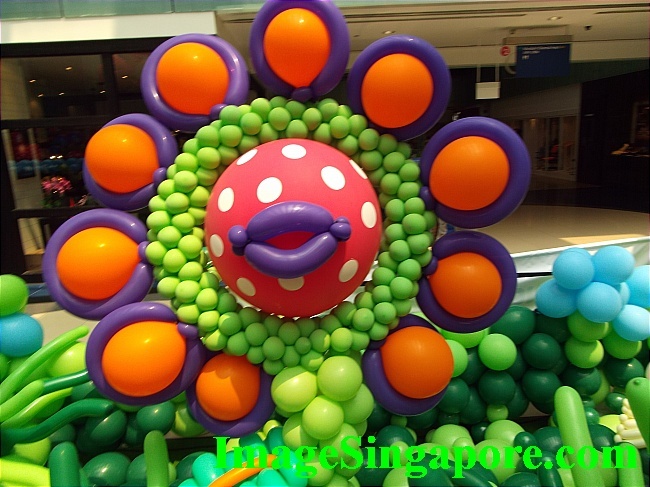 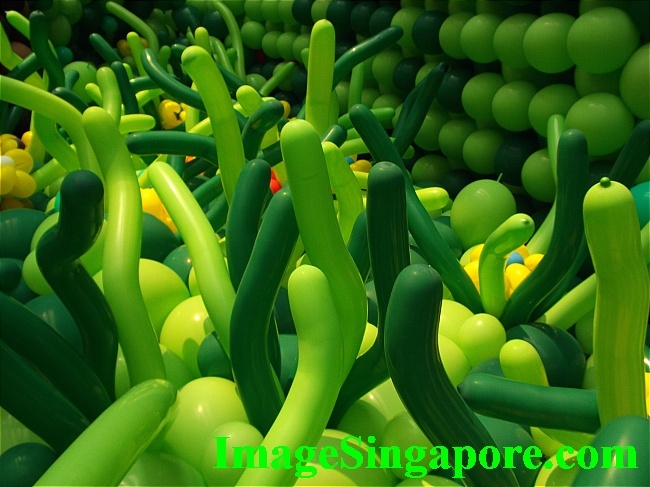 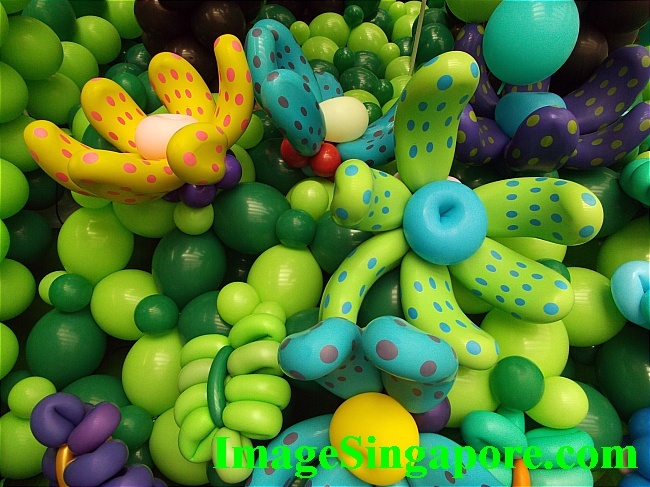 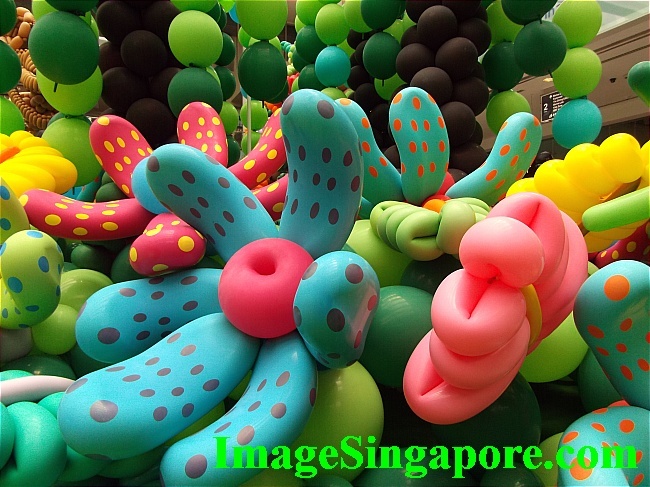 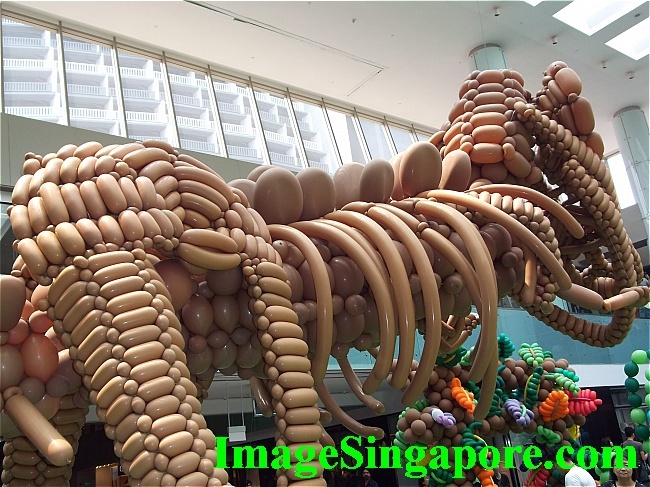 I think this is the largest balloon sculptures exhibit I have ever seen in Singapore. 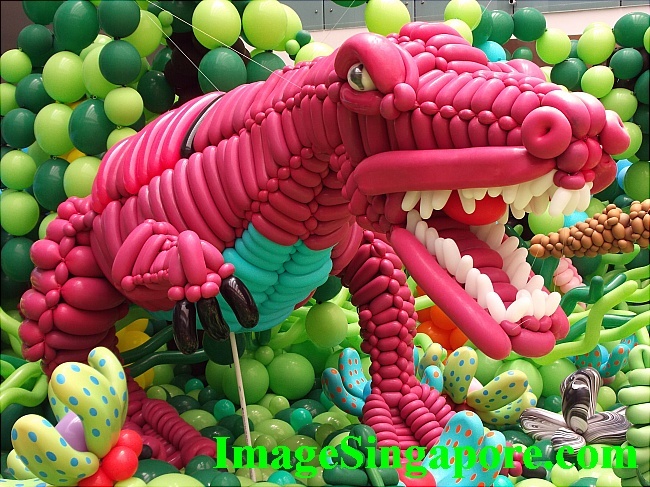 The balloon dinosaurs includes the mighty T-Rex, Stegosaurus, cute baby dinosaurs, Triceratops, etc. 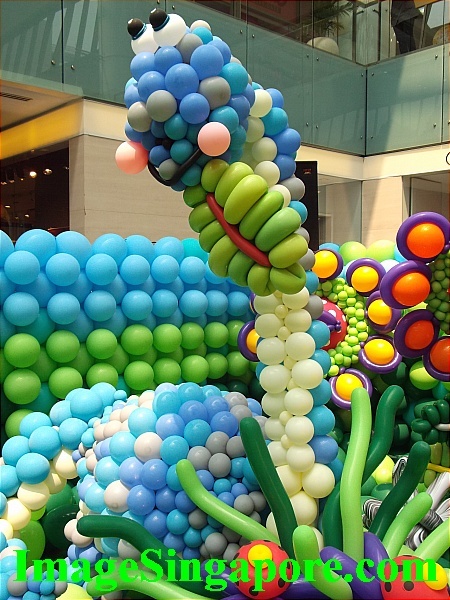 I am also impressed with the wild landscape made entirely with balloons. 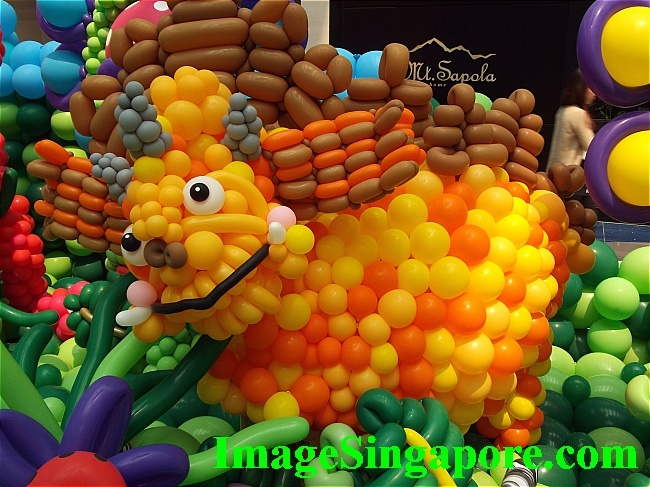 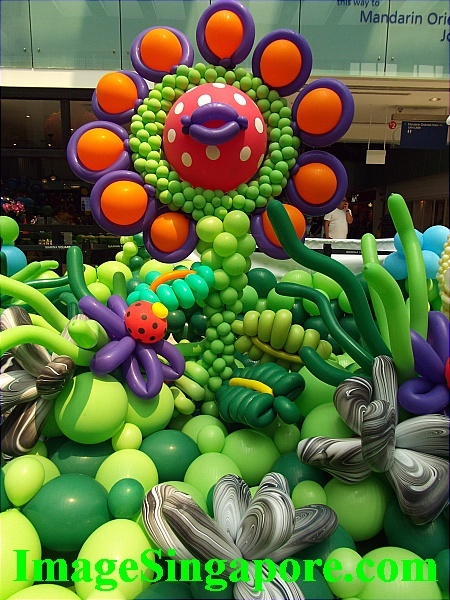 The balloon flowers were bright and very creative. 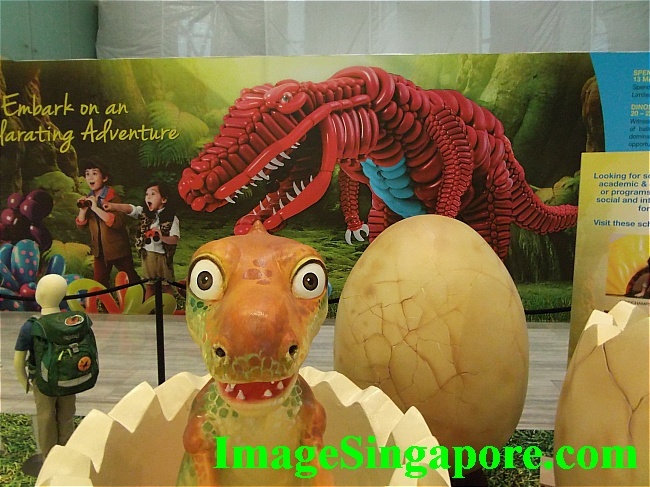 Balloon Dinosaurs exhibit at Marina Square Mall. 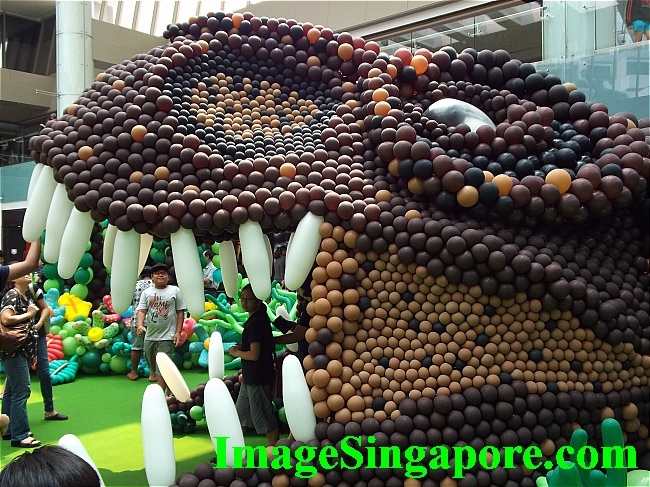 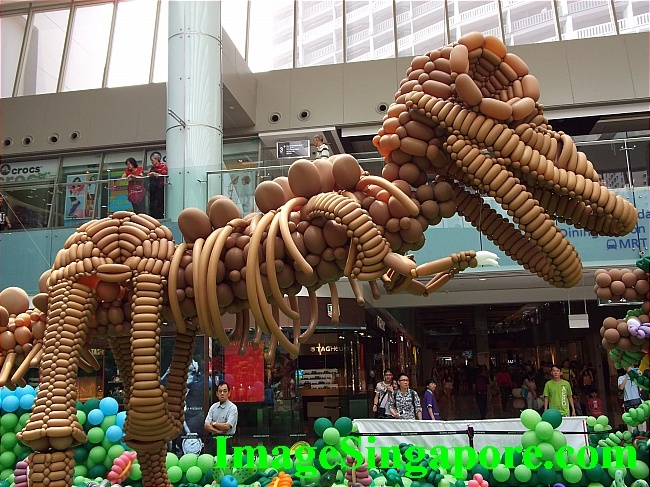 Really enjoyed viewing this Dinosaur Balloons exhibit, hopefully the Marina Square mall will do it again next year. 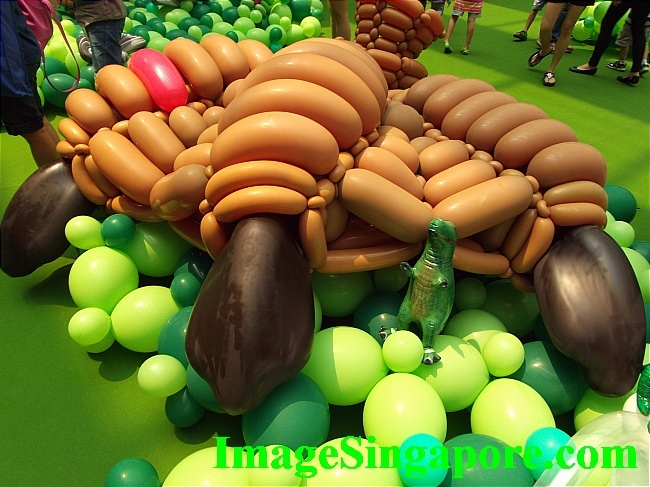 Here are some of the photos; hope you liked them. 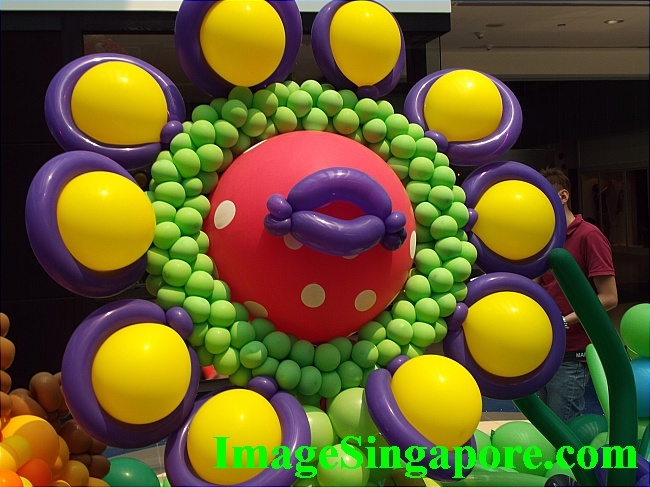 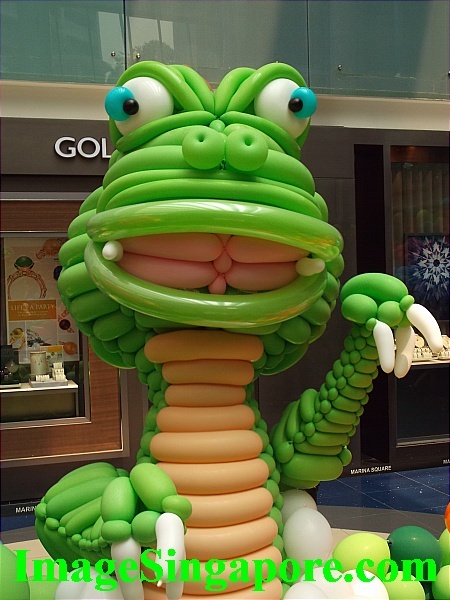 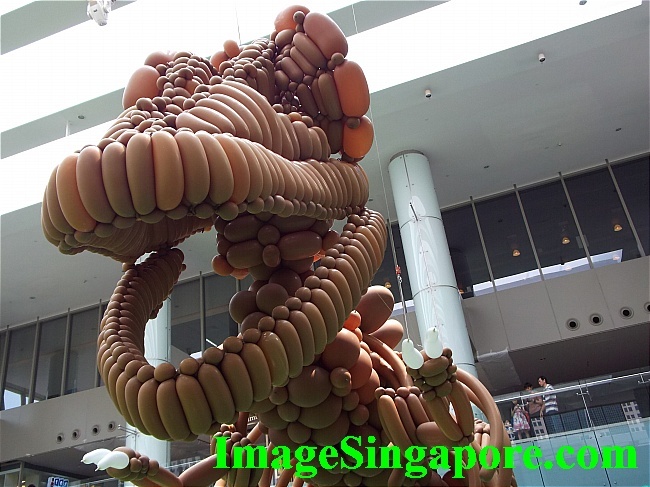 One of the best balloon sculptures exhibit at Marina Square Mall. 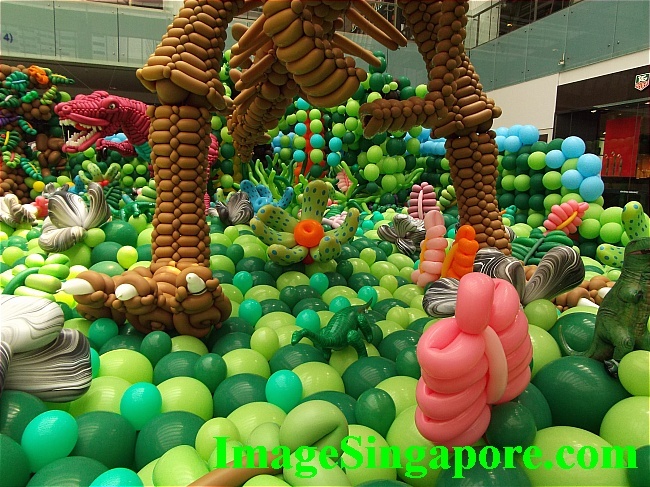 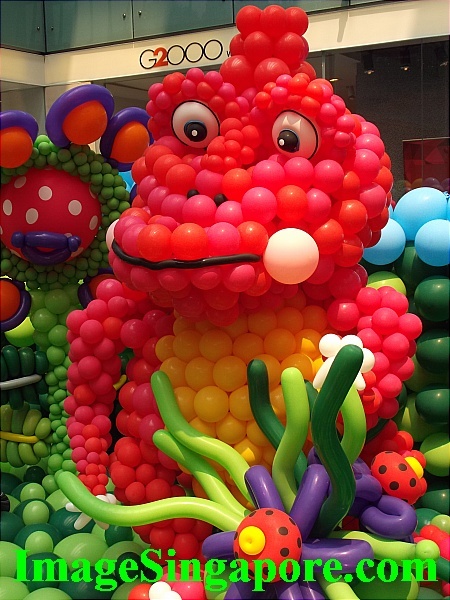 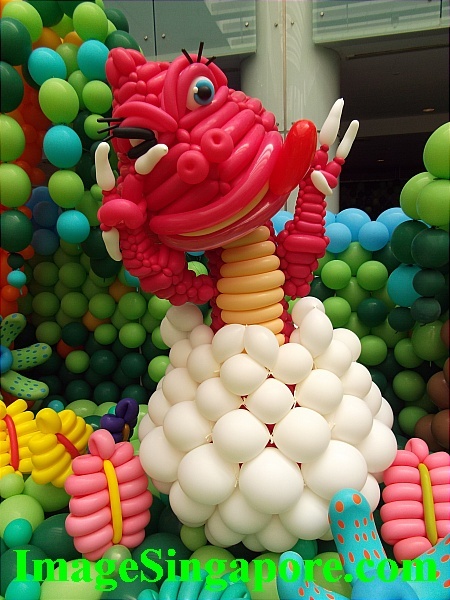 According to the press, more than 85,000 balloons are used for this exhibit – Impressive! 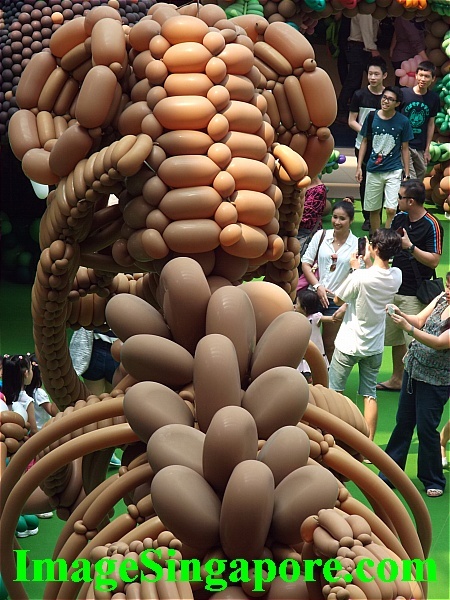 This is an interesting creature. 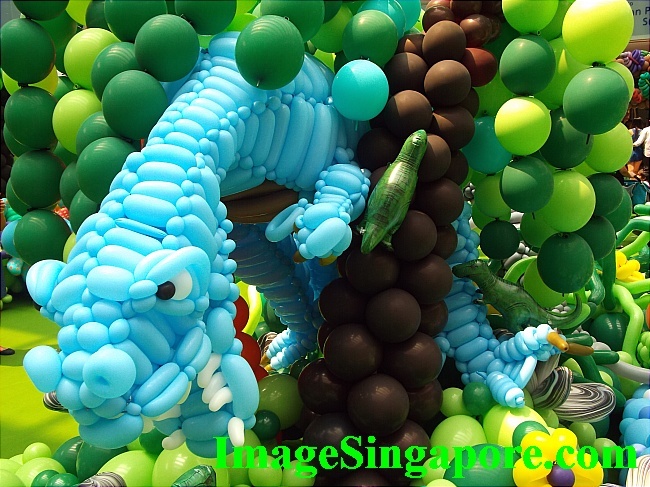 Blue Dinosaur or is it dragon? 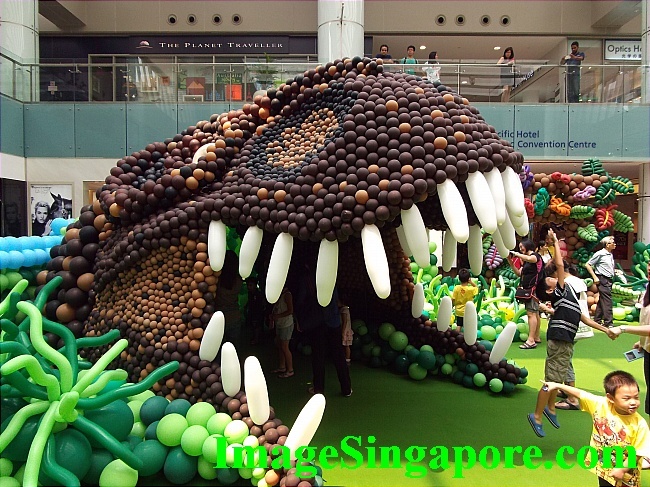 The giant dinosaur mouth exhibit is one of hot favorite for photo shoot. 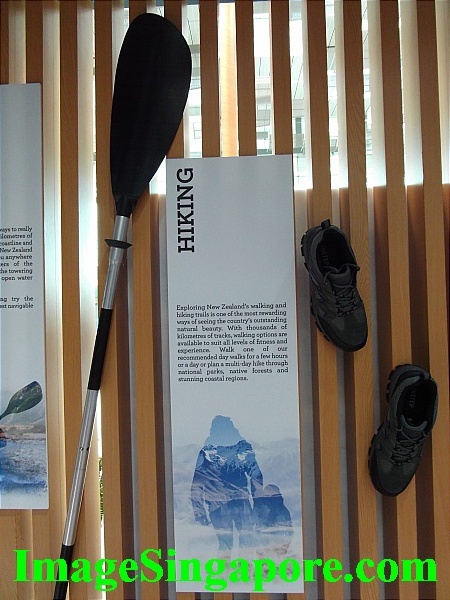 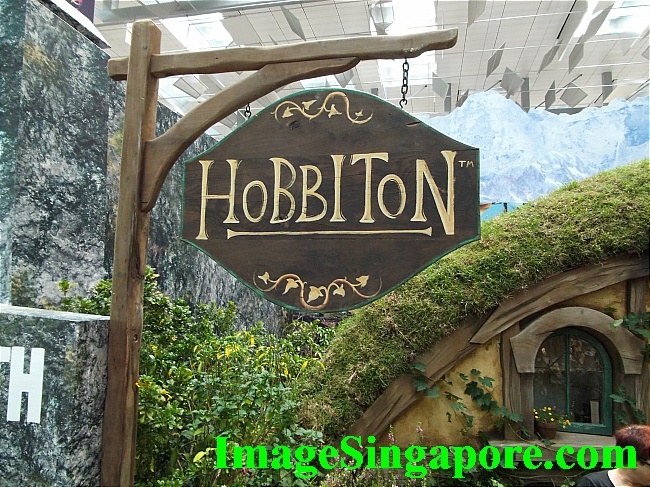 I think the Marina Square mall should extend this exhibit for 2 weekends. 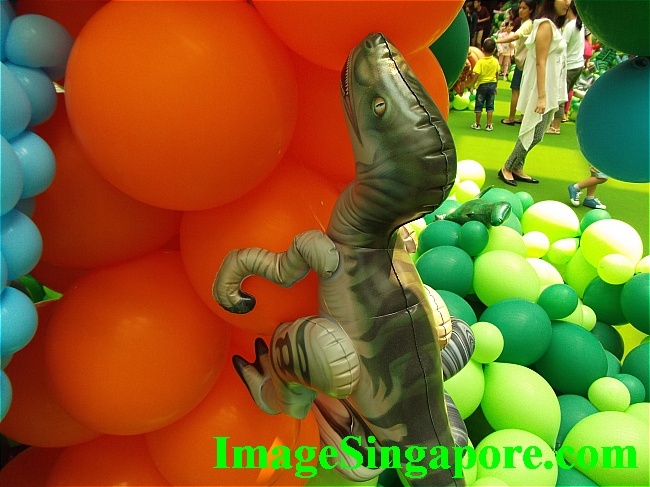 Balloon Dinosaurs at Marina Square Mall. 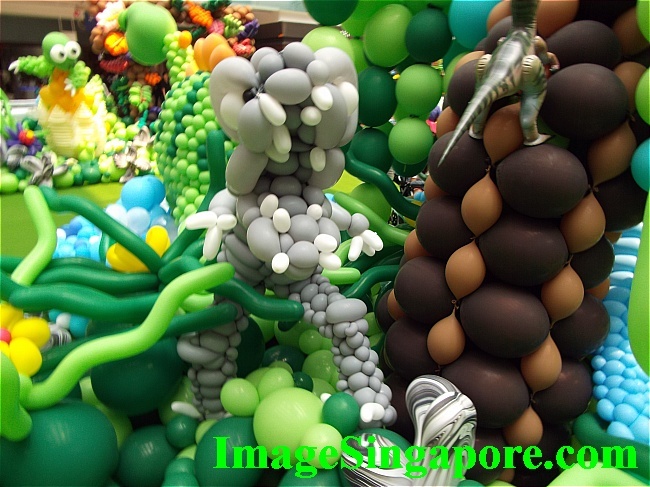 This Balloon landscape is beautiful. 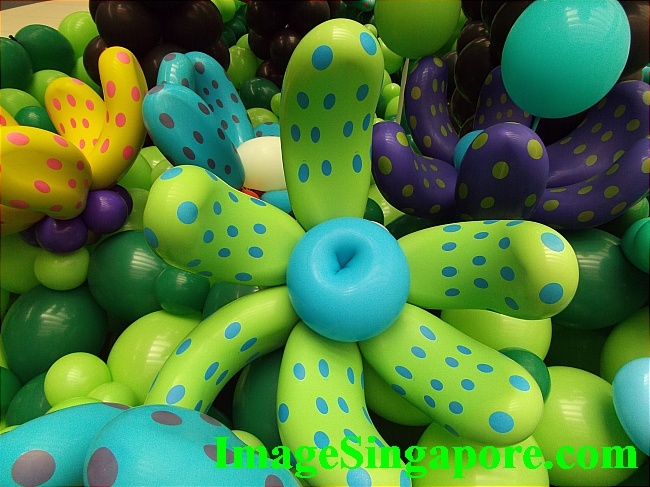 Bright balloon flower to cheer up your day. 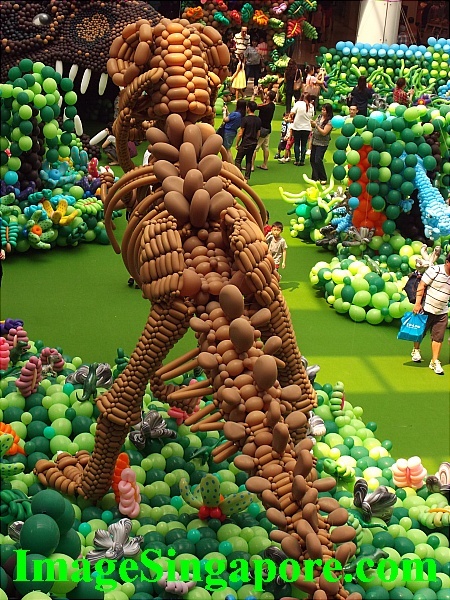 Lots of kids and parents at this exhibit. 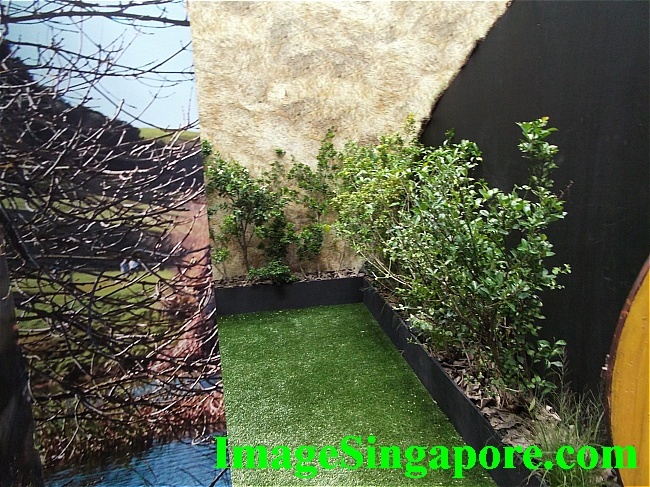 The exhibit area was spacious. 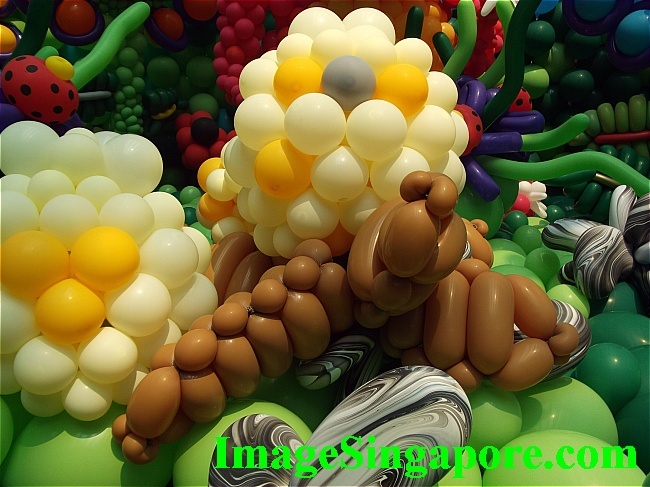 Hot favorite for photo shoot. 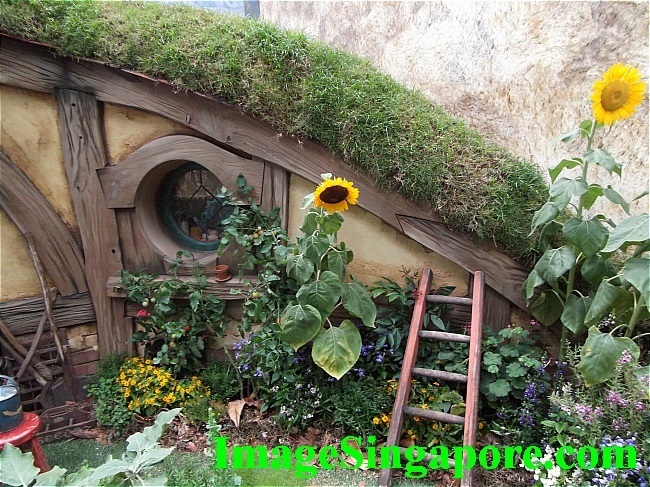 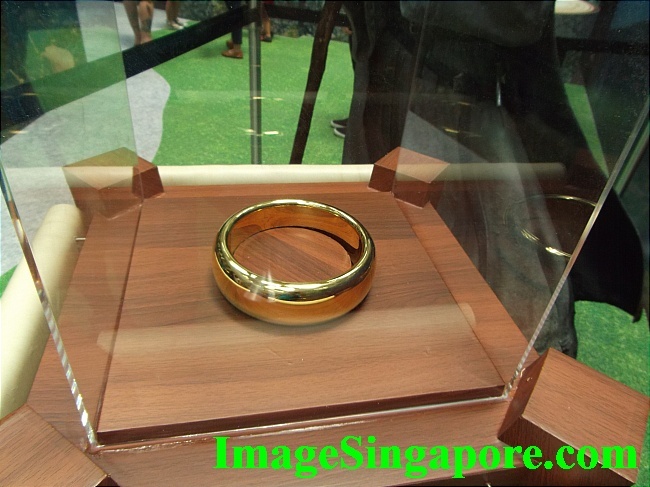 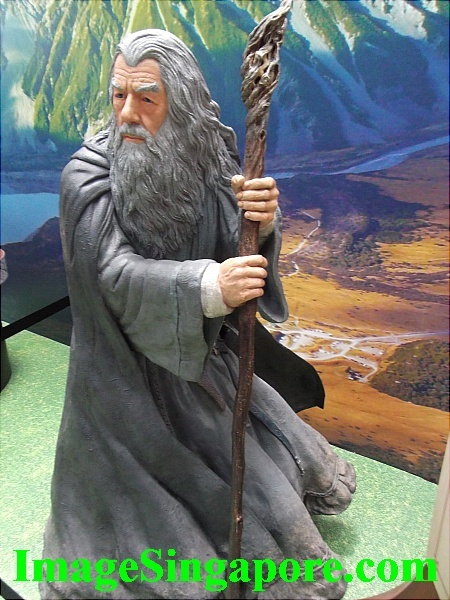 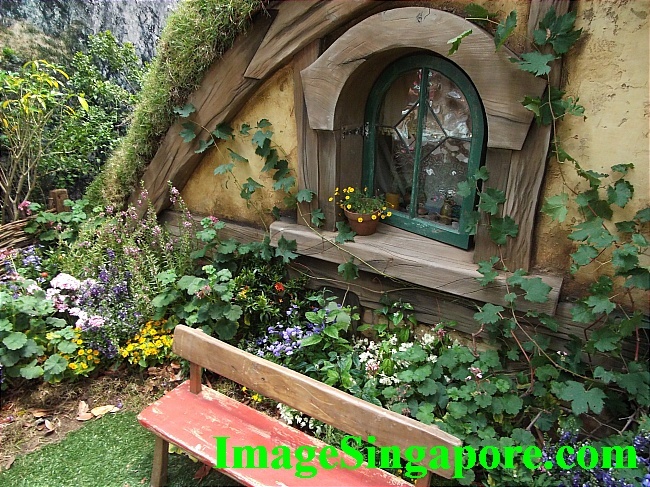 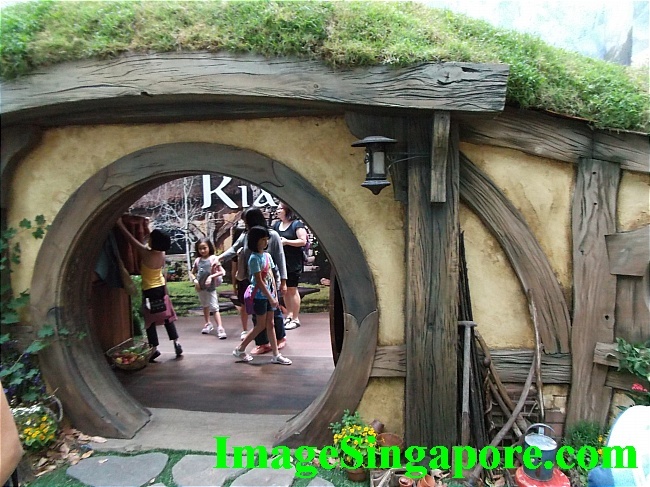 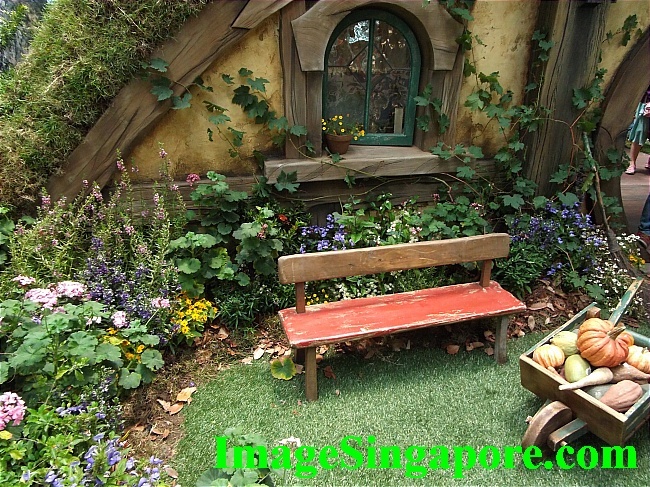 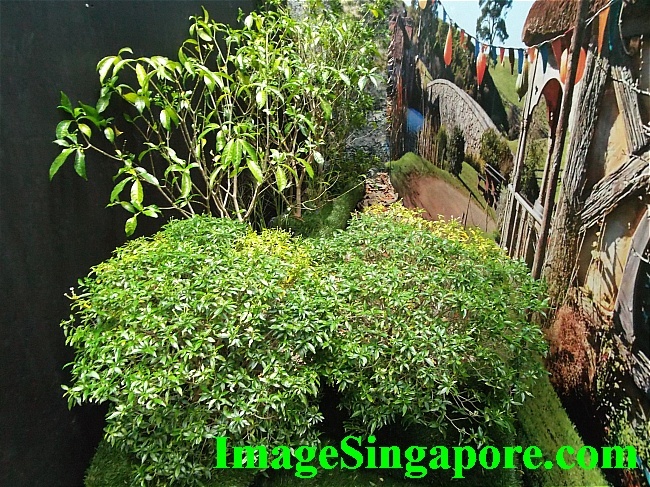 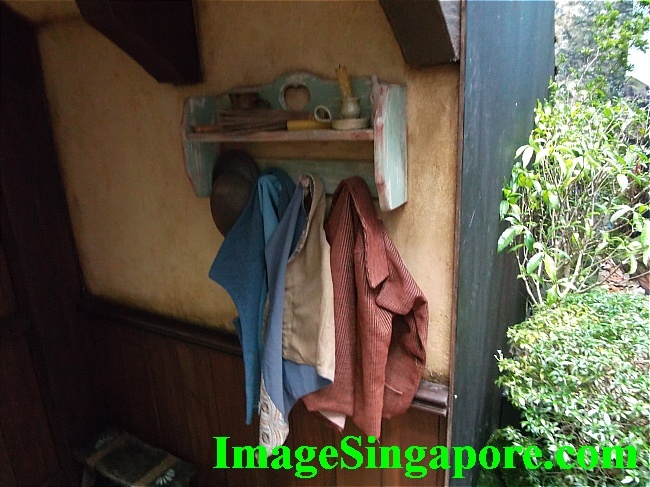 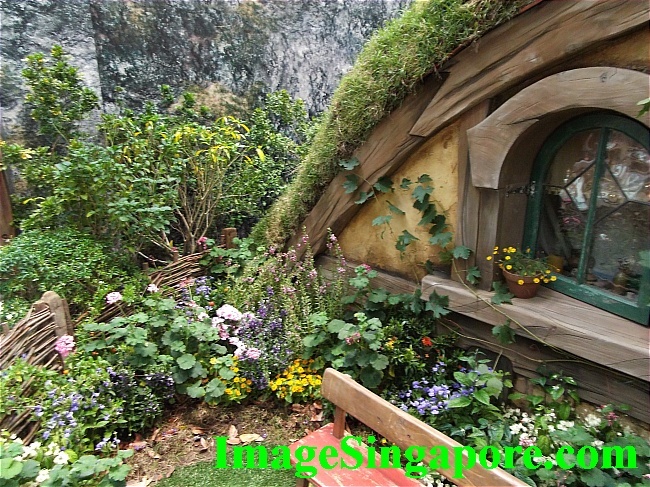 I was at Changi Airport and interestingly saw an exhibit of Hobbit Hole which is part of Naturally New Zealand exhibition. 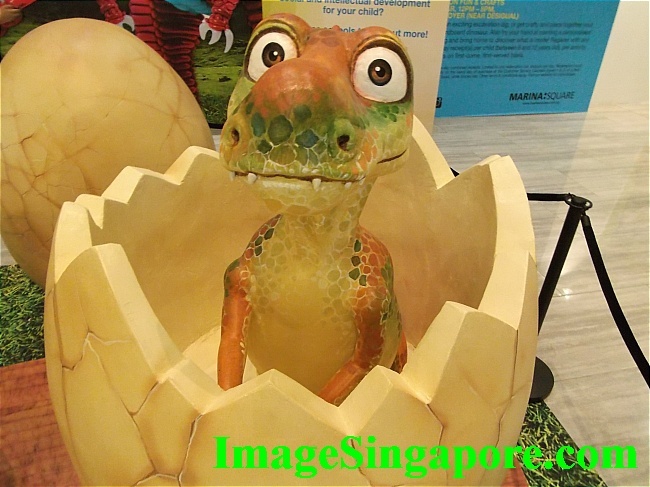 Naturally this exhibition attracted lots of kids with their parents as it was also the start of a week long school vacation. 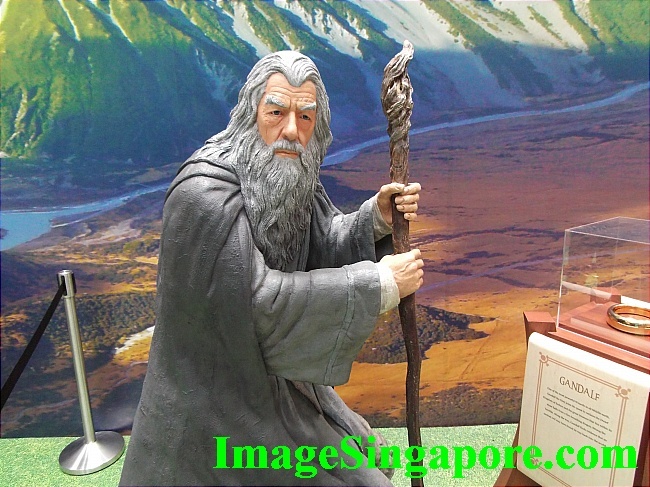 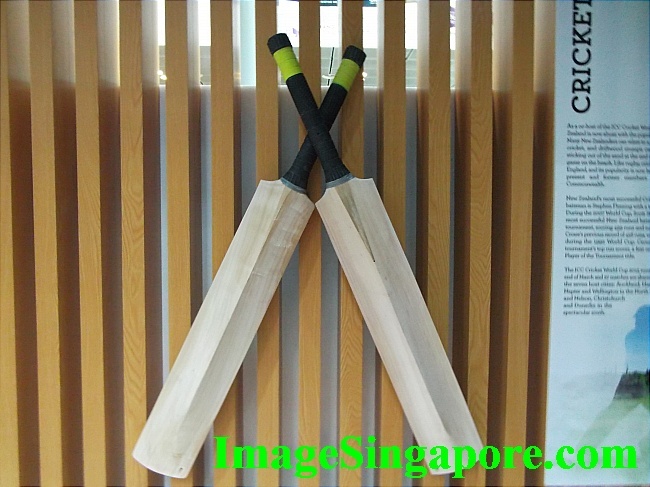 Here are photos of the exhibits which I took. 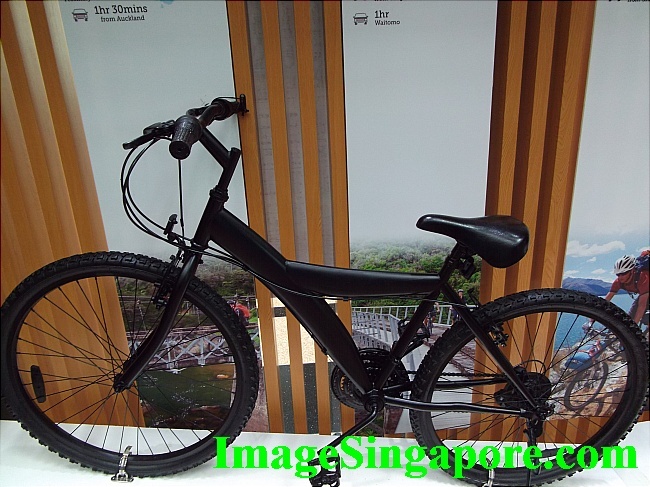 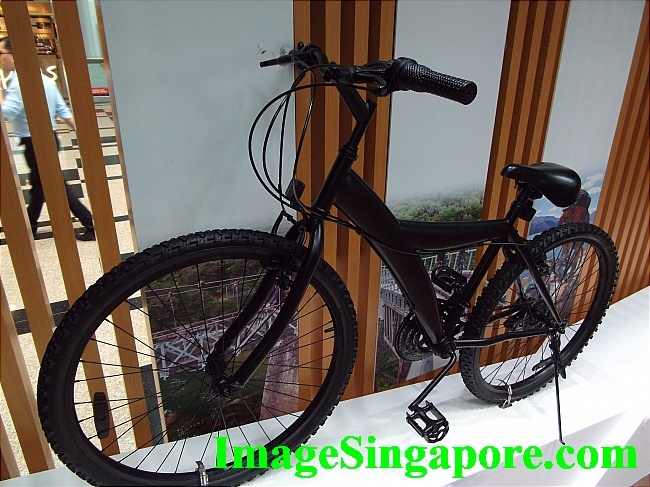 I particularly liked the black bicycle – it has the cool black classical look. 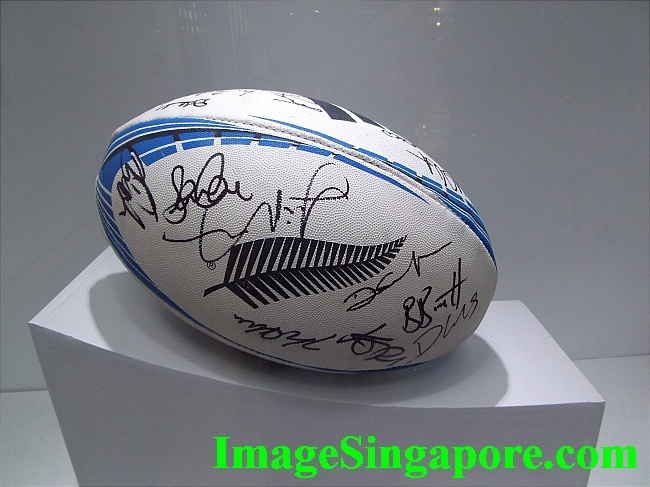 There is also an autographed rugby ball of the New Zealand All Blacks Squad.